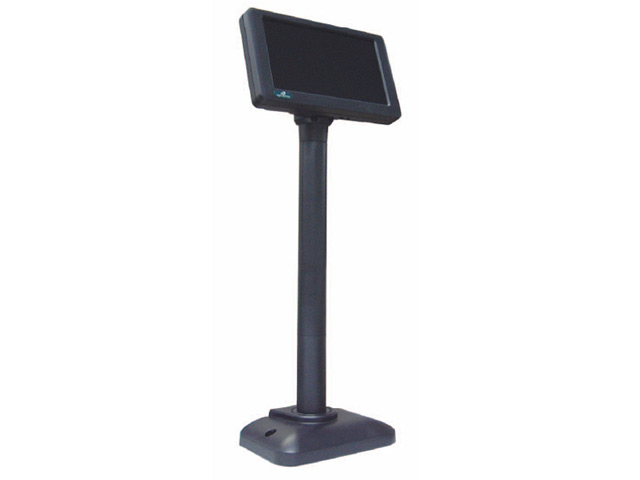 The Logic Controls LV3000 lcd pole display offers the next step in digital signage. 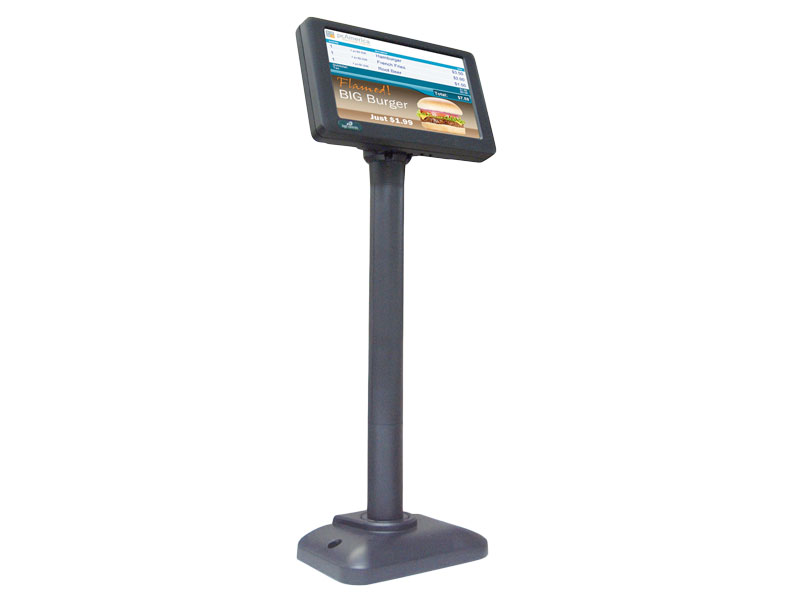 Offering a crisp 7" LCD display, the LV3000 is a great leap past the older two line pole displays. 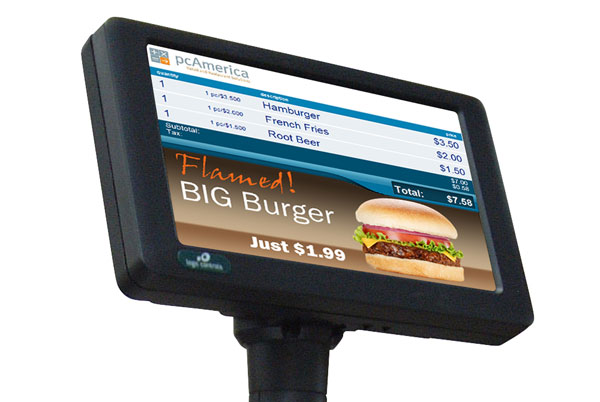 The 7" display runs at a resolution of 800x480, allowing your customers to see not only their order information, but also store imagery, promotions, or even full screen video. The LV3000 comes with USB interface, ensuring compatibility with virtually any checkstand. A solid magnetic base allows for quick mounting to your cash drawer, and the height can be adjusted from 3" to 7" depending on your customers' needs. For added versatility, the LV3000 is compatible with 2.95" x 2.95" VESA mounting brackets. Adjustable height from 3" to 7"
This pole display requires minimal setup and consumes very little space on the counter. It really is like just another small lcd monitor that can be easily plugged into any computer. The tech department at POSGuys.com grew quite attached to this piece of hardware, using it to add to their work space without compromising elbow room. The LV3000 is awarded POSGuys five star rating for its unique lcd screen, high quality base, and the simple plug and play interface. Note that the POS software used will need to be compatible to use the display features seen in the demo video. Please contact POSGuys.com at 800-903-6571 or email us at sales@posguys.com for further information. Find it faster! Click here to compare LV3000 models by feature.